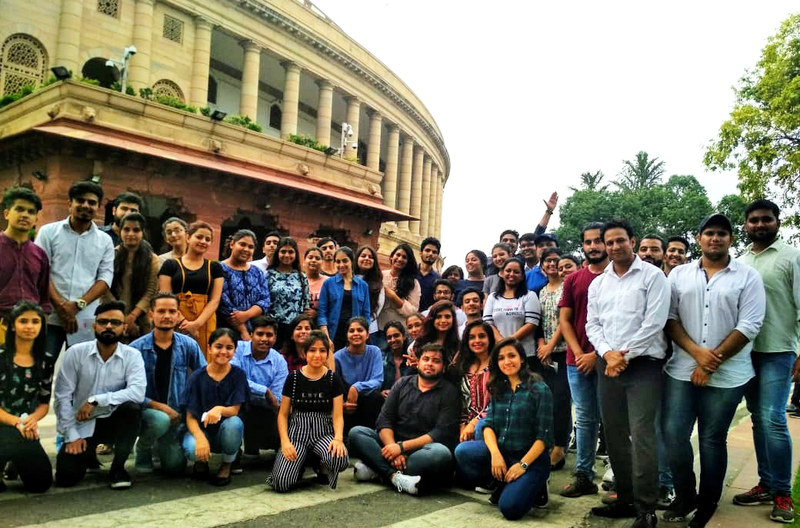 Around 50 students from Chitkara School of Mass Communication along with their faculty members took a study visit to the Parliament, to observe the working of the Indian Parliamentary System. The visit started with a short initiation session where students were briefed on the Indian political system, various procedures of the House and the role of MPs. This was followed by a visit to the Parliament House to see the live proceedings of the Rajya Sabha, where students witnessed a healthy debate. Dr Ashutosh Mishra, Dean, CSMC and faculty members Mr Pankaj Garg and Dr Gitanjali Kalia accompanied the students from BAJMC IIIrd, Vth and MAJMC IIIrd Semester. Mr. Ashok and Mr Santosh from Rajya Sabha Secretariat facilitated the visit for students.